There are a ton of great tutorials for DIY chalkboards, but this rustic wooden chalkboard sign is one of the coolest ones I have ever seen! It looks like it was made right out of a log you chopped in half yourself. If that isn't fun, I don't know what is. The cute paper pennant garland helps too! 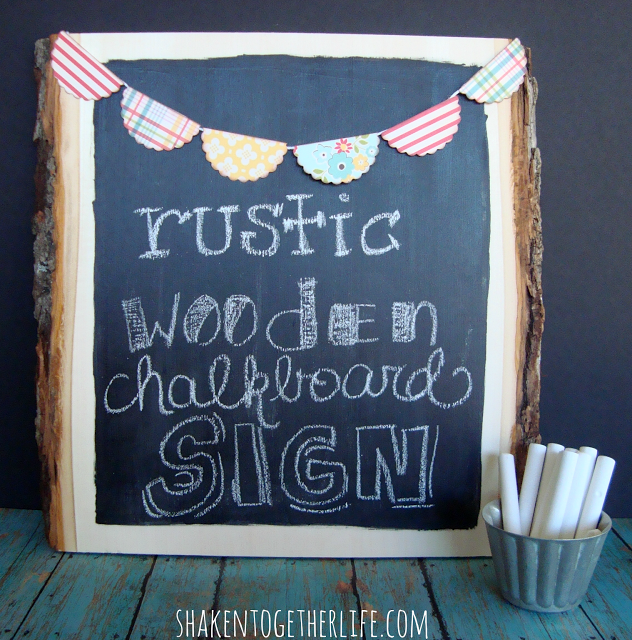 You can check out the DIY rustic wooden chalkboard over at Shaken Together Life. Lorie - thanks SO much for sharing my rustic chalk board sign! You totally made my day!